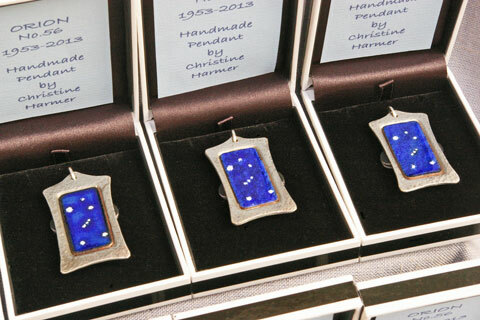 Original Kiln-fired Enamelled Jewellery is a producer and retailer of handmade vitreous enamelled copper jewellery. All items are handmade by Christine in the workshop. Online prices start from just £10.00 (+Postage) to under £40. Specially designed items will cost more, see below. 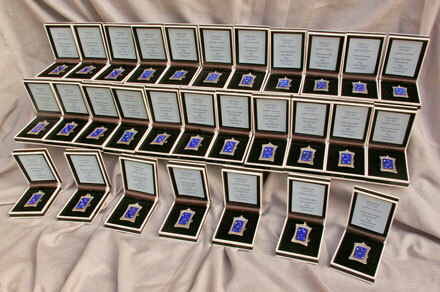 For details of expected delivery times and postage costs, please see the Payment, Delivery and Postage page. 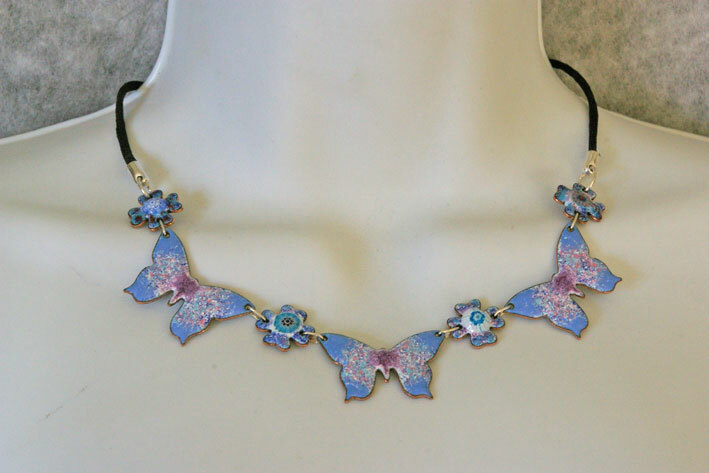 A greater range of jewellery is available to be purchased offline at events and shows, see the Events page. 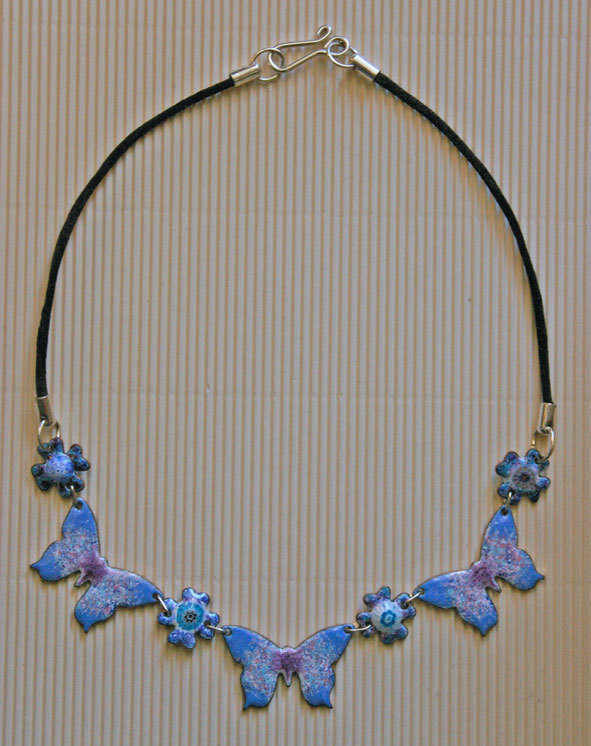 I can also work to commission, to make either one-off items of jewellery or, to create multiple pieces as in the examples shown. Please contact me to discuss your requirements. or complete the enquiry form on the About Us page. If for any reason I am unavailable to take your call between these times, or at times other than those stated above please email [email protected] or complete the enquiry form on the Contact Us page, and I will answer your query as soon as possible.